Obviously if you have been suffering with an underactive thyroid for any amount of time then you will know and appreciate just how hard it can be to lose even a tiny amount of weight. The reality is that this condition is affecting more and more people every single year! As of this very moment there are about 27 million Americans all over the United States who are suffering from hypothyroidism but, even more alarming is the fact that there are many more millions out there that have still not been diagnosed with the condition! Subclinical hypothyroidism is another condition that is getting more and more common and it results in the person experiencing symptoms such as fatigue etc without actually having an underactive thyroid in the first place. This condition usually comes about as a direct result of poor nutrition and if the person improves their diet then the symptoms will slowly but surely disappear. When you have hypothyroidism you’re going to find that your metabolism will become extremely slow, which will result in you not being able to burn the calories you need to burn to lose all that excess fat! Anyone out there that has thyroid glands that are just not working as they are supposed to be working will find that they will struggle to lose weight. This is because your thyroid glands are responsible for producing two very important hormones known as T3 and T4. These are the very hormones that are actually responsible for maintaining your body’s rate of metabolism. If you don’t have enough of these hormones in your body then you’re just never quite going to be able to burn the calories you need to burn in order to get into shape, hence the reason why people with an underactive thyroid tend to find it harder to lose weight. You have to make sure that you get down to your local doctor to get an official diagnosis because this will be the key to getting your health back to where it needs to be. Your diagnosis is going to largely depend on the results of the blood test you’re given by your local doctor. The blood test will basically measure the amount of thyroid stimulating hormone (TSH),T3, and T4 you have inside your body. You will be diagnosed with having an underactive thyroid if you have high amounts of TSH and low amounts of the thyroid hormones (T3 and T4). If you’re one of the people that has been diagnosed with hypothyroidism then you’ll more than likely be given some medication that is known officially as levothyroxine. Taking this medicine will help to get your levels of thyroid hormone right back into the healthy range, which will ultimately get your metabolism boosted up! Exactly what you want when you’re trying to lose weight. Losing weight is all about making sure that you consume highly nutritious meals every single day of your life. This means you’re going to want to start consuming a ton of vegetables and protein because it’s the key to shedding all that excess fat in record time. From personal experience and from reading a ton of research studies out there, I can tell you that protein is the most satiating of all the macronutrients out there, including fats and carbs. This will literally mean that hours and hours will go by before you feel the need to consume food. The other bonus of consuming a healthy amount of protein is that it will preserve all that metabolism boosting muscle mass, which is extremely important! All those processed junk foods are just empty calories that are not benefiting you in any way. 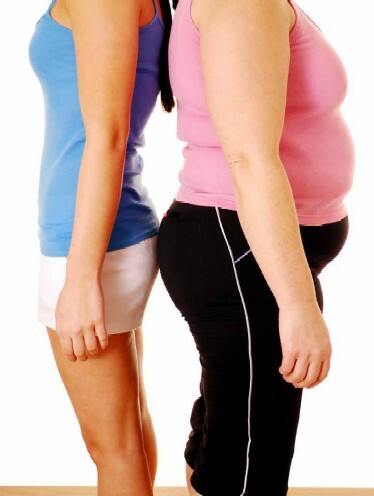 In fact they are just preventing you from losing the weight you need to lose to get into great shape. Instead of consuming all those junk foods, I’d recommend that you start stocking up on foods that contain a lot of fiber in them. Fiber rich foods are not only very satiating but they will prevent things like chronic constipation from occurring… which is very common among people who have hypothyroidism. Once you have really nailed your diet, I’d recommend that you start focusing on implementing a really solid fitness routine into your life. It can be as simple as taking a walk around the block or you can be very serious with it and join the local gym… but, whatever you do, make sure that you do something! From a results standpoint I’d recommend that you focus on lifting weights because not only will you shed a lot of calories when you’re engaged in the actual exercise but you’ll be working to build up a lot muscle mass which will inevitably result in your metabolism rising and rising. The higher your base metabolic rate, the more calories you’re going to end up burning… it’s as simple as that my friend. So over time you’ll be getting in better and better shape, which is exactly what you want when you’re trying to get into incredible shape fast! Remain consistent with your effort and believe me it will only be a matter of time before you end up in the best shape of your life. Nothing in this world can stop you from getting amazing results accept yourself. You have to get out of your own way and make sure that you take massive action every single day of your life. Keep doing this and believe me you will find that getting into shape even with an underactive thyroid is easier than you think! If this article was on that you enjoyed then you will really love http://hypothyroidismdietplan.org because the information there will truly help you overcome hypothyroidism for good! Avelina Kongoi maintains the website http://hypothyroidismdietplan.org and blogs about effective ways to control this condition with nutrition. ← Playing Your Music Ladies?